Everyday at 08:00am EST the Trading Mission community joins together to do battle with the Futures markets. As you will see from our Results page we focus on trading Crude Oil (CL). However this is just a small part of what we offer. As you will soon discover our expertise lies in calling the overall market trend. So although we focus on trading Crude Oil we also analyze a number of other markets too. These often include (but aren't limited to) The Russell (TF), The Nasdaq (NQ), Emini S&P 500 (ES), Gold (GC) and Dow (YM). Once you have this analysis, including the trend prediction, targets, levels and power zones you have a plan for trading the markets for the entire day, but we offer more. We are now live streaming our charts everyday between 08:00am est and 2:45pm est. This is a huge, because via this steam you also have access to our proprietary software called the Trend Oracle. This gives you everything you need to trade through the day with us making the best decision based on your own personal risk appetite and account size. On top of that I am still taking live trades on a live funded account, teaching my strategies and answering your questions. We are a thriving community of elite traders joining forces each day to do battle with the markets . 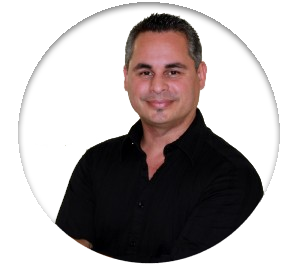 . .
Carlos Diaz is a recognised trading expert with over 20 years’ experience in forecasting market trends. When he is not captaining our daily trading missions he spends his time providing market analysis for private clients and large trading firms. He has been a head analyst for a hedge fund and has lectured traders at Santander bank. With us you have options. You can come in and follow the early trades and be done quick or you can hang around all day, trading with the plan we give you. The leader of our daily missions has been trading futures contracts for a very long time. In fact he was even featured in the media as an expert in trading the Emini S&P 500 as far back as 1998. You can see that article to the right. Below that is another article which shows him lecturing at Santander bank back in 2001. Since then Carlos has trained under some of the top hedge fund managers in the world. That’s why we are confident in our ability to consistently deliver on our promises. 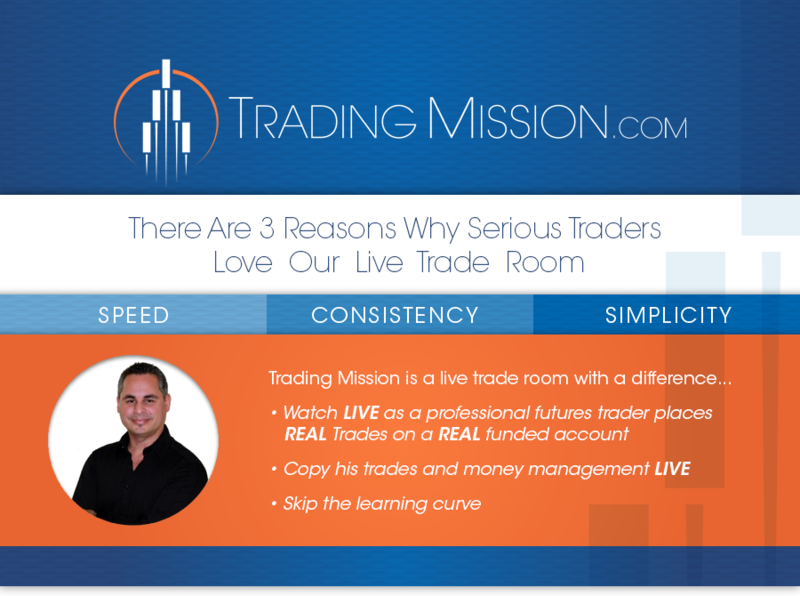 The strategy you will be trading inside Trading Mission has been honed over many years of experimentation. This allows you to completely skip the years of hard work, trial and error and expense that causes most traders to blow their accounts and quit. New too trading? Take a look at the video to the right and you will see how easy we are making this for you. Carlos tells you when to enter the trade. You will see his screen. You can copy his SELL/BUY Limits. You can copy his Stops. He will even walk you through the money management process. If you are not ready to follow our plan and use our Trend Oracle tool then for now you can copy and learn. I still remember what it was like to be an aspiring trader trying to make a living from the markets. Every day was a rollercoaster ride. If I was winning I would feel on top of the world. If I was losing I would completely doubt my strategy and immediately try to change it. Sound familiar? My outlook on trading is very different now though. Over time you learn to accept that no strategy can win 100% of the time. You will have winning days and losing days. What really matters is your bottom line profits at the end of the month. That’s why I created this trading room. I wanted to show the good, the bad and the ugly side of trading. There is nowhere for me to hide here. You see my charts, you see me place trades and you see how many contracts I use. If you are sick and tired of the hyped up marketing and fake trading “gurus” that are ruining our industry then join me and the rest of the Trading Mission community for daily profit missions. Yes the focus is on profit but we also have a lot of fun and I promise you will learn a lot too. Every day I will be analyzing the market, assessing risk and calculating key areas of support and resistance using the highly accurate methodology it has taken me over 20 years to hone and refine. No gimmicks or new “strategy of the month,” just a real trader at work. If you are a serious and ambitious trader then I would love you to join us. Test drive the service for free. Transparency . . . . that’s what you are getting inside the Trading Mission room. You will see me placing and managing my trades in real time. You can see the results for yourself and you can easily copy what I do. That’s it. It really couldn’t be any simpler. The strategy you will see in action is a hybrid of proven techniques I have been testing for a long time. Now is your chance to see it working in real time right before your eyes. The mission starts at 08:00am (Eastern) every weekday. Just sign up below and you will automatically receive information about how to join your first Trading Mission. join us for a couple of free sessions.